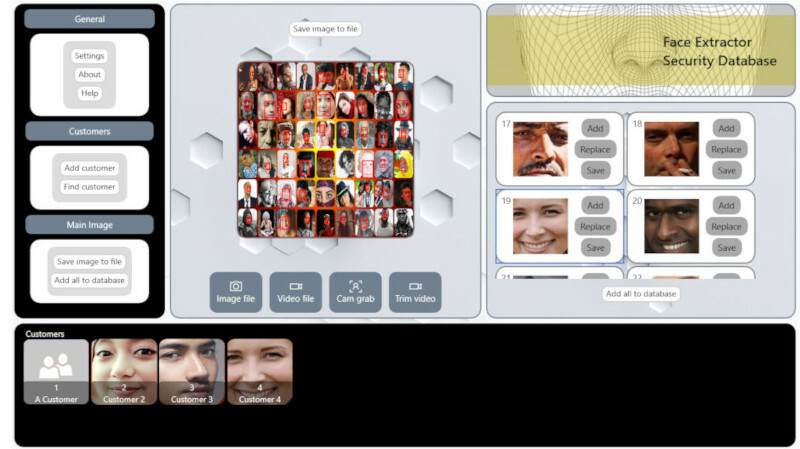 The app provides face detection and extraction from images (from file or integrated webcam video frame grabber). The extracted faces are listed and can be single click added to the inbuilt database (or individually) or saved as an individual image files. No internet or cloud access required. Locally stored database (unlimited XML). Suitable for stadium access control, club prohibited customer control and law enforcment. Bibase Software also offers an app development service.